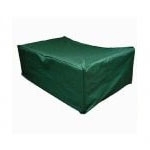 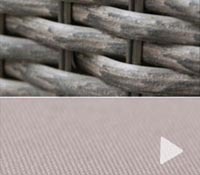 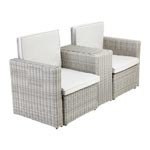 Leisuregrow's Torino Garden Companion Set from their rattan garden furniture collection will make a lovely seating space just perfect for two. 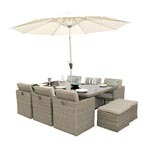 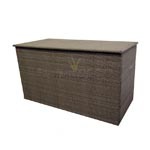 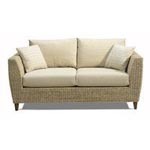 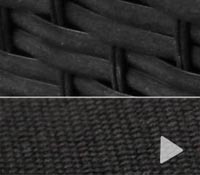 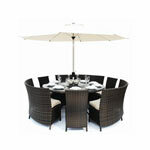 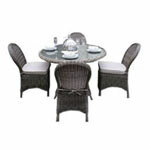 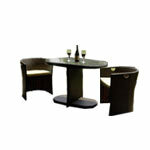 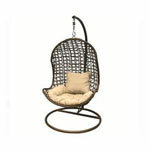 A round weave rattan design gives this rattan companion set a lavish look and feel that is second to none. 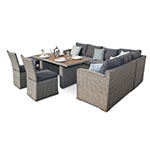 Leisuregrow's Torino Garden Companion Set from their rattan garden furniture collection will make a lovely seating space just perfect for two. 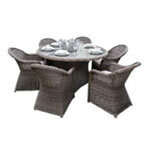 A round weave rattan design gives this rattan companion set a lavish look and feel that is second to none. 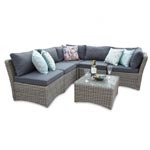 The two spacious armchairs of this garden companion set are coupled by a handy drinks table, perfect for that bottle of wine. 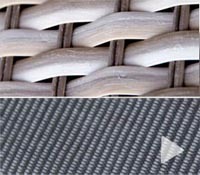 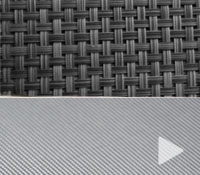 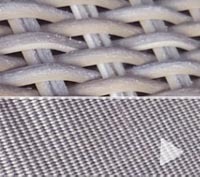 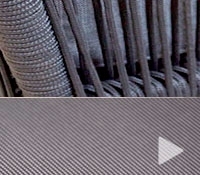 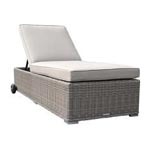 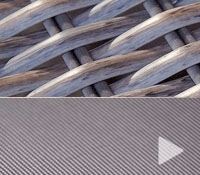 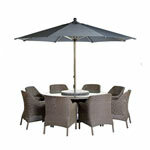 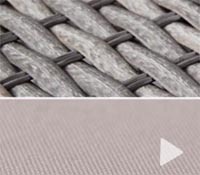 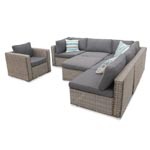 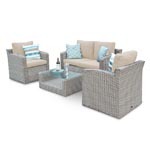 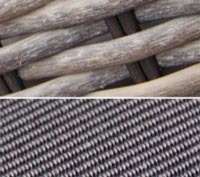 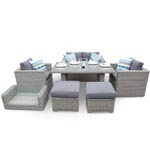 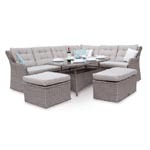 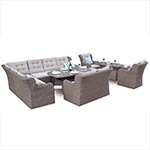 Striking grey-blue cushions harmonize wonderfully with the natural rattan look of this garden companion set. 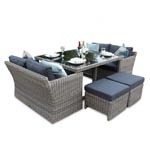 Spend some time in your garden this summer with this rattan companion set; place it in a quiet corner of your garden for a space of your own to escape to with a loved one. 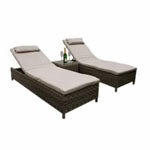 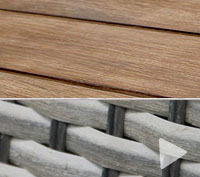 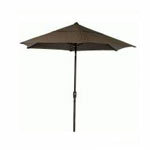 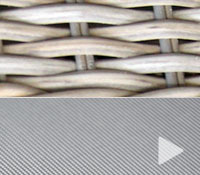 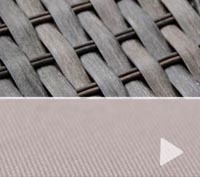 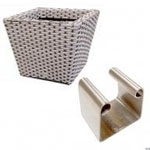 With its gorgeous design, there is a place in any garden for the Torino Rattan Companion Set!